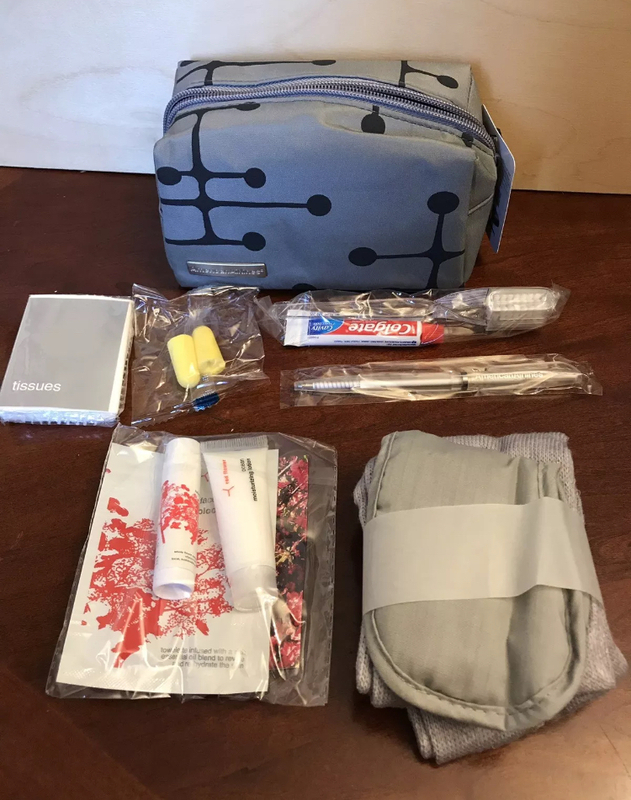 So who knew that if you fly first class and especially first class international that airlines actually procure fabulous little swag bags for you? I mean, I have not flown in years but still have never held a first class seat! 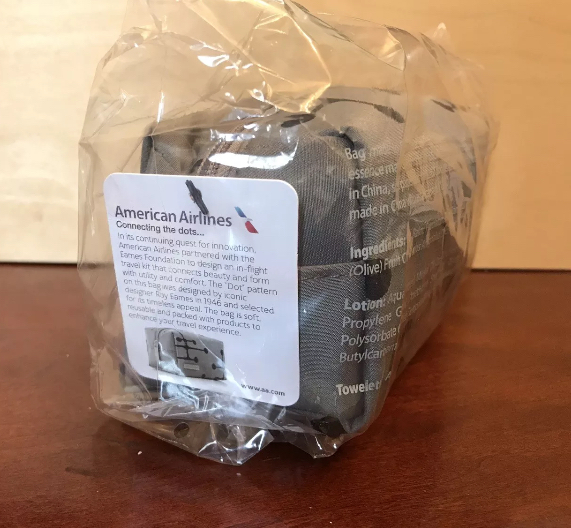 I discovered a fabulous cache of beautiful little premerger American Airlines swag but what makes this special and of interest to us MCM fans? These bags were designed and badged by Eames Office and feature the awesome DOTS pattern. They came in a few variations and are quite small. They were made to distribute tiny sample sizes of toiletries and comfort items for flyers. I became obsessed and started to grab low priced pieces. As they started showing up at my home, I found a massive case of NIP SEALED packs that had all the goodies inside. So I procured this box for my fans! *****UPDATE***** These bags are available for purchase ON MY WEBSITE! Click on the LINK to head to the page! Grey bags are ready to ship, red bags will be here next week. If you order a red bag your order will not ship until complete. THANKS! I have 60 of these on the way! New in cellophane with tags and all the goodies inside! Reserve yours now! *these were probably from 2013ish. They were the last swag prior to the AA MERGER. The inside is lined in contrasting small scaled dots pattern. NEW PROJECT: Greek Godess kitschy rain lamp. i picked this up a few months back. My husband started working on cleaning it today so we can test it. These swanky lights are filled with mineral oil which is pumped up top and follows the fishing line strings down into the bottom. They are tedious to clean but we are hoping this one will fire up. In order to get the goddesses and foliage out, you need to be very careful and work it out between the fishing line strands. They are pretty tight and actually strum like a guitar! Dawn detergent is the best for cleaning as it helps break down the oil residue. This is a dirty job. The original oil was dried up so at least that was not a mess. Even the plastic foliage needed to soak in hot soapy water for a while. LAYAWAY? If you are eying a large item in my inventory but are waiting for a tax refund, reach out! I will gladly pull an item from the market with a deposit. Message me to discuss! I am stocked with some awesome restorations! Before you shop for sub par New or reproduction furniture, have a look at vintage items ready for this century. New fabrics and structure. You can’t get this stuff off the shelf at any old vintage shop! Details of the BIG SALE at GRQ/Fleetwood Antique Mall are here: https://www.facebook.com/events/2201061653240630/?ti=ia FRIDAY EVENTS. See the GRQ FACEBOOK PAGE for details of the whole weekend schedule. HOPE TO MEET SOME LOCAL MCM FANS! Can’t make it Friday? I may have some weekend availability to meet by appointment! Reach out!